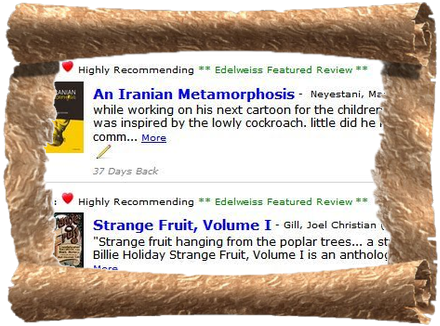 two reviews i did were tagged as Featured Reviews on Edelweiss! i only knew about this late last night. it had been a while since i dropped by Edelweiss to see what was up and i was very surprised to see this on my dashboard! right now, i'm still stoked!